Ultra corrective anti-aging formula offers intensified concentrations of cutting-edge actives Dermaxyl® and Cavamax®, to reverse visible signs of aging. 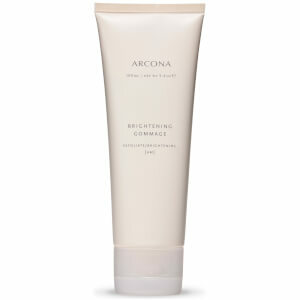 Smooths fine lines and wrinkles, and improves elasticity with Liquid Crystals. 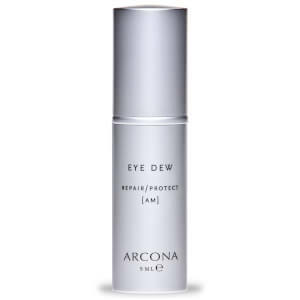 Helps diminish visible signs of aging with Vitamin C, leaving eye area firm, regenerated and younger looking. 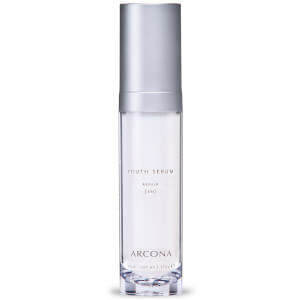 Provides extreme hydration to lessen creases caused by expression and environmental damage. Peptides stimulate collagen and elastin production. Use Daily AM and PM: Ultra concentrated formula. Dispense half a pump and warm between fingers, then gently pat around the eye area. Equally effective for hydrating lips. Texture of this eye cream is a bit sticky and shiny, so I use it at night. This eye cream works so well though. Skin is plump, bright, and moisturized. Love it! 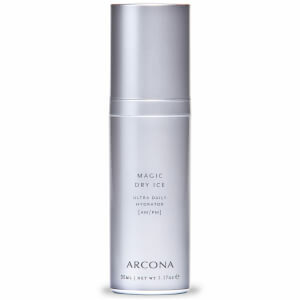 While getting color matched for another brand foundation, Marty suggested I try Arcona. She blended the Magic Dry Ice with the foundation and then she put the Eye Dew Plus around my eyes. She barely even used half a pencil eraser amount. It is thick and kind of illuminating, but boy is it powerful! I had an area of hypopigmentation post laser and in two weeks it is almost gone. Buying and using forever! Love natural products.